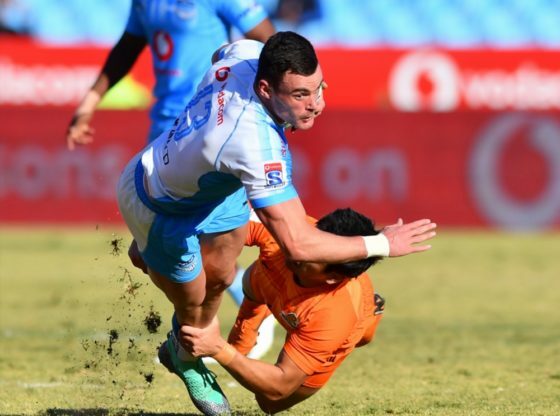 JON CARDINELLI looks ahead to the final three matches in round eight of the Vodacom Super Rugby tournament, including the Vodacom Bulls-Jaguares clash. The Blues claimed a valuable bonus-point win against the Stormers last week. The Waratahs – who have been woefully inconsistent this season – went down to the Sunwolves for the first time. History is against the Waratahs this week. It’s been more than a decade since they last beat the Blues in New Zealand. That narrow win in March 2009 marks their only away victory against the Blues in Super Rugby history. They will be desperate to set the record straight after a humiliating loss to the Sunwolves. It wouldn’t surprise to see them attacking the Blues at the lineout – the Waratahs are ranked third at this set piece, while the Blues are 13th, according to Opta. If they can establish early dominance and keep the Blues on the back foot, they may have a shot at victory. The Blues have conceded 10 of their 18 tries this season from the first phase. If not, the Blues attack will be difficult to contain. As was witnessed in the recent clash involving the Stormers, the Blues have the ball-carriers in the back row and out wide to hurt opposition defences. While they are right up there in terms of breaks and defenders beaten, their poor try-scoring record suggests that finishing has been a problem. They scored three against the Stormers last week, but may have scored more if they had taken all their chances. – The Blues have won their last three games against the Waratahs. – The Waratahs have won three of their last four regular season games away from home, though they were defeated 19-13 by the Brumbies in their last outing on the road. – The Blues have averaged more carries (131) and fewer kicks (15) per game than any other side this season. – Michael Hooper is the first player this season to make 100 tackles – he has completed 102 of 111 attempts so far. Blues – 15 Melani Nanai, 14 Caleb Clarke, 13 TJ Faiane, 12 Ma’a Nonu, 11 Rieko Ioane, 10 Otere Black, 9 Jonathan Ruru, 8 Akira Ioane, 7 Blake Gibson (co-c), 6 Tom Robinson, 5 Josh Goodhue, 4 Patrick Tuipulotu (co-c), 3 Sione Mafileo, 2 James Parsons, 1 Alex Hodgman. Subs: 16 Matt Moulds, 17 Marcel Renata, 18 Ofa Tu’ungafasi, 19 Gerard Cowley-Tuioti, 20 Dalton Papalii, 21 Sam Nock, 22 Harry Plummer, 23 Michael Collins. Waratahs – 15 Israel Folau, 14 Cam Clark, 13 Adam Ashley-Cooper, 12 Karmichael Hunt, 11 Alex Newsome, 10 Bernard Foley, 9 Nick Phipps, 8 Michael Wells, 7 Will Miller, 6 Jack Dempsey, 5 Rob Simmons, 4 Ned Hanigan, 3 Sekope Kepu, 2 Damien Fitzpatrick, 1 Harry Johnson-Holmes. Subs: 16 Andrew Tuala, 17 Rory O’Connor, 18 Chris Talakai, 19 Tom Staniforth, 20 Lachlan Swinton, 21 Jake Gordon, 22 Kurtley Beale, 23 Lalakai Foketi. It’s been a few weeks since Sanzaar confirmed that the Sunwolves would be surplus to requirements in 2021. Yet the Japan-based franchise has refused to go gently into the good night. Most recently, they beat the 2014 champions in Sydney, scoring their first win on Australian soil in the process. Can the Sunwolves keep that momentum to down the Rebels in Melbourne? That ambition will hinge on their set-piece effort. It’s been their primary weakness, and some teams have done well to exploit it. The Rebels have some dangerous attacking players on their roster. They haven’t beaten the most defenders or made the most breaks this season, but the stats that matter show why this is Australia’s form team. Dave Wessels’ side ranks third in the tournament for tries and points. It will be interesting to see how this game pans out if the contest is still in the balance at the death. The Rebels are the most penalised team in the tournament, and the Sunwolves have the best goal-kicker in Hayden Parker. One doubts it will come to that, though. The Rebels won’t take the Sunwolves lightly. They should be aiming to attack the visitors at the set pieces and establish an early lead. – The Rebels have won all three previous clashes with the Sunwolves, those wins all coming by margins of 20-plus points. – In round seven, the Sunwolves picked up their first-ever Super Rugby victory on Australian soil at the seventh attempt, thanks in large part to a Semisi Masirewa hat-trick. – The Sunwolves will be aiming to record back-to-back victories in Super Rugby for just the second time (May 2018). – Sunwolves duo Rahboni Warren-Vosayaco and Gerhard van den Heever have made more carries (76) and metres (608) respectively than anyone else in 2019. – Quade Cooper already has eight try assists to his name for the Rebels this season, three more than any other player. Rebels – 15 Reece Hodge, 14 Jack Maddocks, 13 Tom English, 12 Billy Meakes, 11 Marika Koroibete, 10 Quade Cooper, 9 Will Genia, 8 Isi Naisarani, 7 Angus Cottrell (c), 6 Luke Jones, 5 Adam Coleman, 4 Matt Philip, 3 Jermaine Ainsley, 2 Anaru Rangi, 1 Tetera Faulkner. Subs: 16 Hugh Roach, 17 Matt Gibbon, 18 Pone Fa’amausili, 19 Ross Haylett-Petty, 20 Rob Leota, 21 Michael Ruru, 22 Campbell Magnay, 23 Semisi Tupou. Sunwolves – 15 Ryohei Yamanaka, 14 Gerhard van den Heever, 13 Jason Emery, 12 Harumichi Tatekawa, 11 Semisi Masirewa, 10 Hayden Parker, 9 Keito Shigeno, 8 Hendrik Tui, 7 Dan Pryor (c), 6 Ben Gunter, 5 Luke Thompson, 4 Mark Abbott, 3 Jiwon Koo, 2 Jaba Bregavadze, 1 Pauliasi Manu. Subs: 16 Nathan Vella, 17 Masataka Mikami, 18 Hiroshi Yamashita, 19 Uwe Helu, 20 Grant Hattingh, 21 Jamie Booth, 22 Takuya Yamasawa, 23 Josh Timu. It’s fair to say that the Bulls are the form side in the South African conference. They’ve beaten the Stormers, Lions and Sharks (twice). They’re yet to beat an international side, though. Pote Human’s side was outmuscled and outrun when they faced the Jaguares in round two, and when they hosted the Chiefs in Pretoria two weeks ago. The coming game presents them with an opportunity to prove a point against foreign opposition. It will also give them a chance to push for the top spot in the South African conference. They will be missing some key personnel, though. Handré Pollard, Jesse Kriel, Warrick Gelant, Schalk Brits and RG Snyman will sit out for various reasons. Bulls skipper Lood de Jager won’t feature again in this campaign. Perhaps the Bulls can take heart from the Lions’ recent performance against the Jaguares at Ellis Park. The Lions went into that game without a host of frontline stars. They blew the Jaguares off the park, although the visitors fought back at the death to lend some respectability to the scoreline. Will the Bulls back their attacking game as the Lions did? Much will depend on how the forwards perform on the day. Despite the injury-enforced absence of Springbok locks such as De Jager and Snyman, the Bulls are ranked first in the lineout stakes this season. The Jaguares are ranked third in this department. The stats point to other similarities. The Bulls have kicked more than any other side, while the Jaguares are ranked third in this area. Unless the hosts spring a surprise, we can expect a fair amount of tactical kicking in the early stages. The Bulls have relied heavily on the goal-kicking of Pollard this season. The Bok flyhalf has also proved influential in the drive for territory and on attack. Manie Libbok will have some big boots to fill this Saturday. The Bulls need someone who can take charge and manage the game effectively. And in a close contest, accurate goal-kicking will be crucial. – All five previous games between the Bulls and Jaguares have been won by the home side on the day. – Victory here for the Bulls would tie up the head to head record with three wins apiece. – The Bulls lost their last home game against the Chiefs. They’ve not lost back-to-back home games, though, since 2017. – The Jaguares have lost their last five away games on the bounce, conceding 40-plus points on three occasions over that span. They had won four on the bounce away from home prior to that run. – The Bulls have conceded just one try within the opening quarter of a game this season, fewer than any other team in the competition. 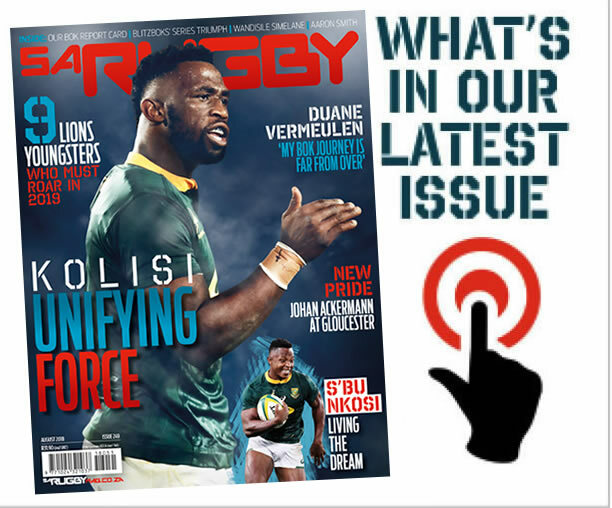 – Bulls loose forward Duane Vermeulen has 11 turnovers to his name in 2019, two more than any other player. Six of those have been jackals. Bulls – 15 Divan Rossouw, 14 Johnny Kotzé, 13 Dylan Sage, 12 Burger Odendaal, 11 Jade Stighling, 10 Manie Libbok, 9 Embrose Papier, 8 Duane Vermeulen (c), 7 Jannes Kirsten, 6 Ruan Steenkamp, 5 Eli Snyman, 4 Hanro Liebenberg, 3 Trevor Nyakane, 2 Corniel Els, 1 Lizo Gqoboka. Subs: 16 Jaco Visagie, 17 Simphiwe Matanzima, 18 Conraad van Vuuren, 19 Thembelani Bholi, 20 Tim Agaba, 21 Ivan van Zyl, 22 JT Jackson, 23 Cornal Hendricks.